These days, less time is spent and more is used for studying. My grades have improved! A year ago, generous donors helped protect Ogola Spring in Mukhonje Village, Western Kenya. Because of these gifts and contributions from our monthly donors, partners can visit project sites throughout the year, strengthening relationships with communities and evaluating the actual water project. These consistent visits allow us to learn vital lessons and hear amazing stories – we’re excited to share this one from our partner Christine Luvandwa with you. The community living around Ogola Spring is feeling happy and secure as they drink clean water from their protected spring. Before last year, they were constantly worried about their health and especially the health of their children. Sorophina, having filled her container with clean water from Ogola Spring. 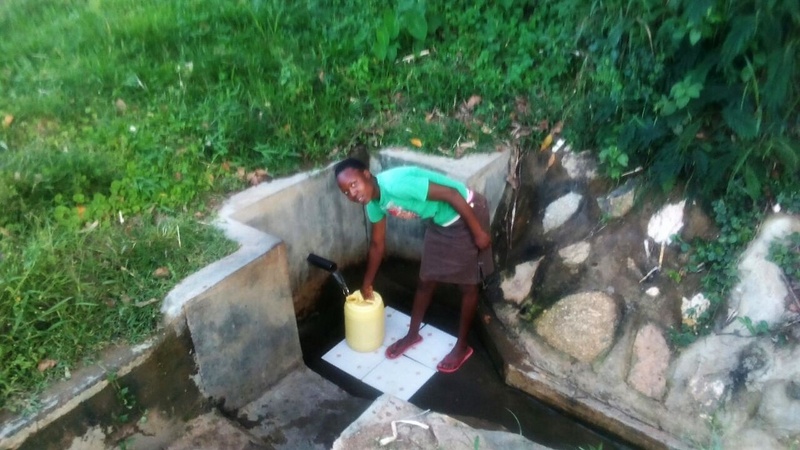 16-year-old Judith Omala has been benefiting from the clean water too. 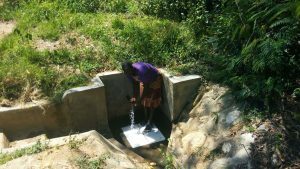 “As a primary school student, I now have an easy time fetching water for our home. I used to have a hard time because we had to fetch water using small containers, and it was challenging as other users left the water dirty and I had to wait for it to settle. This all cut into my study time. These days, less time is spent and more is used for studying. My grades have improved!” she rejoiced. 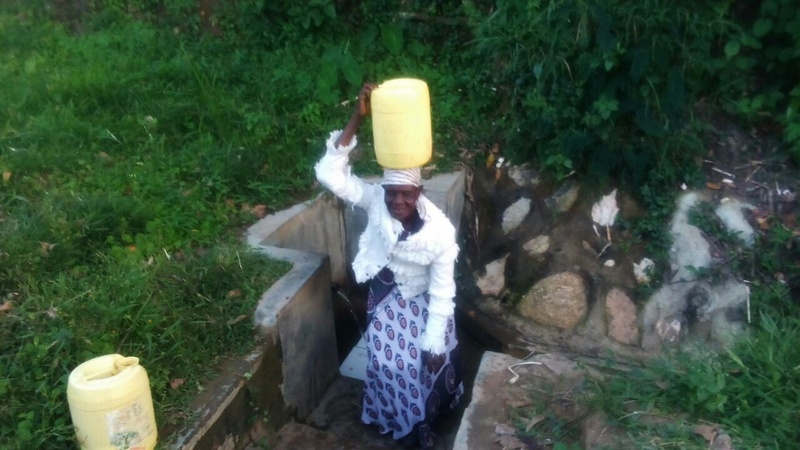 When you invest in The Water Project, you're investing in people like Judith Omala. Your gifts help us reach more communities with the gift of clean, safe water. And every drop helps unlock potential.